How do you describe your polymer clay work to people, Cat? Well, that’s a good question. I tend to try a lot of different ideas and styles. However, a majority of my work is feminine and floral. I’ve loved flowers ever since I was a little girl, and quite a few of my pieces have millefiore flowers as the main subject. My earliest memory connected to flowers was at six years old. I noticed my neighbor’s geraniums and was fascinated by them. All through my childhood and into adulthood, flowers consistently surfaced in my creative hobbies, whether it was watercolors, salt dough, face painting, beading, embroidery, cake decorating, etc. My creative process has been in a constant state of evolution. I began working with polymer clay in 2001, greatly inspired by the work of Lisa Pavelka, Sarajane Helm, Candice Matthewson, and a host of others that there just isn’t room to mention. I played with my clay at the coffee table in my living room, in the evenings after the kids were tucked into bed. Initially I had the goal of making jewelry and accessories that matched my clothes. Being a homeschooling mom, we lived on a single income and I didn’t have much in the way of money to spend on myself. Polymer clay solved that problem in a wonderful way, and I was able to make coordinating jewelry, barrettes and pins to go with my clothes. I still wear a few of those early pieces. Generally I would just pull out all my supplies and make things up as I go along. Sometimes I get really focused and can work 8 or 10 hours at a stretch without a break. I try not to let myself do that too much, because it isn’t very balanced. But there are times when I have a deadline to meet that I allow my world to just narrow down to the project, magazine article, cane, or whatever. My studio is in my home, which has a very open floor plan and a minimum of walls. So the family has access to me even if I’m engrossed in my clay. I haven’t had much formal training, really. 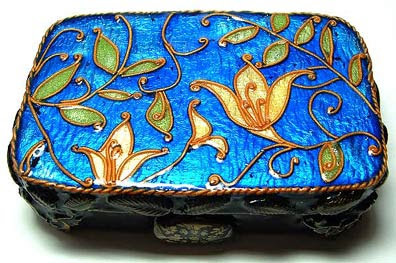 I have yet to experience a class by another polymer clay professional, although that is on my list of goals. In high school I took art courses every semester, and had a couple semesters of painting classes in junior college. But I’m a fairly quick learner, and a voracious reader, so when polymer clay captured my attention I read everything I could find on it over the internet and checked books out of the library. 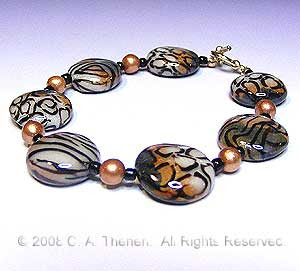 There is a wealth of resources, websites, and articles about using polymer clay on the internet alone. There are also books readily available and a good selection of instructional dvd’s and videos. 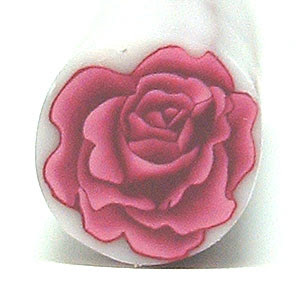 I emailed people, asked questions, and joined a message forum, Polymer Clay Central. I experimented, shared what I made, and received a lot of encouragement. It spurred me on to keep trying new things. Oh yes, there are two tools that are indispensable for me. The first is a food processor. I put the clay into a food processor and chop the clay up into little granules. Next, I press the granules of clay into a pancake that I feed through the pasta machine to blend the colors the rest of the way. Of course these tools are totally dedicated to my clay and not used for food. It seems like inspiration comes from everywhere. I could be in a restroom at a department store, and be inspired by the wallpaper. My husband and adult daughter are very good when it comes to design, and they often make sketches for me of jewelry or canes. Oftentimes I will get inspiration just as I’m waking up. I’m dreaming a piece, or a cane, and as soon as I wake up I have to sketch it or it will be gone. So I keep a pen and pad on my nightstand, since this is a fairly regular occurrence. I’m also inspired by the work of other hobbyists and professionals in the medium. There are just such a wealth of ideas when it comes to polymer clay that the possibility of getting bored with it is remote. Well, there’s an internal pressure, I’ve noticed. Things like receiving an invitation to exhibit at a show. It creates this tingly excitement inside. I love doing shows, even though they’re physically and mentally exhausting sometimes. Generally that just means I need a nap, or a good night’s sleep. The next day is a new day. Usually when the work is frustrating and tough is when I have a lot on my plate, and the deadlines are piling up. My husband is my business manager as well as my biggest supporter, and he reminds me to step back and take a break when I feel like my head is going to pop off. My daughter is good at this too, and she’ll pull me away from it to go shopping, go out to eat, watch a movie, go for a walk, or whatever. Generally I can come back to work with a good attitude and a fresh layer of energy the next morning. The three P’s are indispensable: Practice, Practice, Practice! Paying close attention to finishing and detail, and striving toward making every piece as close to perfection as you can will raise your level of work. But it is just that – work. It takes time dedicated to the three P’s to really advance with any medium.I highly recommend networking with other artists in your medium. Is there a guild in your city? Join it! 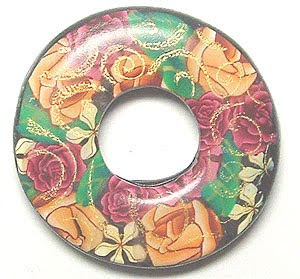 Many cities have polymer clay guilds, and there is a US national guild as well. Join a message board on the internet – many instant message and blog services have message boards and groups dedicated to a specific medium. 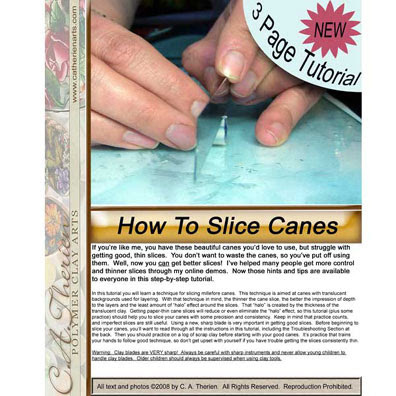 I recommend US national guild as an excellent place to connect with other polymer clay hobbyists and professionals from around the world. What are some of your favorite things outside of art and family, Cat? I love oriental food. I love to read. I really enjoy a bike ride (bicycle or motorcycle, I like them both). Someday I’d like to get back into making my own greeting cards. I’m not a half-bad painter and there’s a number of canvases waiting for me in the basement to pick up painting again. I enjoy writing fiction with my hubby – we both can really get into a story together and just immerse ourselves in it. I like to grow flowers and vegetables (even though I’m not terribly good at it). I like to go sit in the mall at the Auntie Anne’s pretzel place and have a pretzel and watch people walk by, making up little scenarios about them based on their expressions and the way they carry themselves. I love to swim, but have a fear of deep water. I love the beach, and whenever I have a chance to go to one, I always make some sort of elaborate sand sculpture.I think I’m just basically in love with life. I hope that comes through. I want to reflect those things about the world that are lovely and beautiful. Hope fills me every day, and if I have a chance to share that with someone else through my art, then it’s been a very good day indeed.